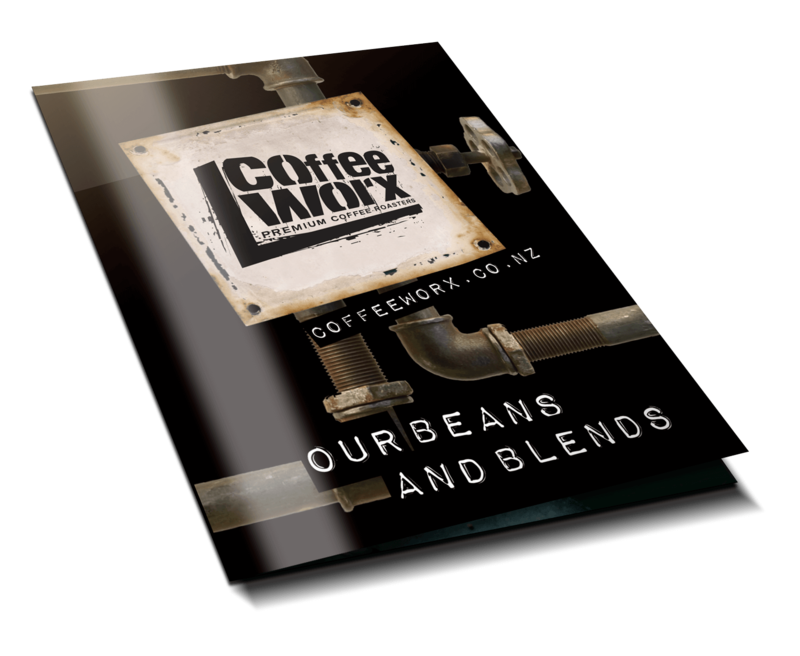 Coffee Worx are a New Zealand owned and operated company dedicated to producing premium coffee blends. We are specialists in the craft of roasting the best 100% Highest Grade Arabica coffee beans sourced from the world’s largest Green Bean Brokers. These great coffee beans are roasted in our Rangiora Cafe Roastery to produce for you a sensational cup of coffee. Winner of 7 New Zealand Coffee Awards. Finding the perfect coffee for you can be a hard process. You want a blend that matches your taste, your personality, and sometimes even a different blend for different moods! That’s why we created a guide for you, describing in full sensory detail all the Coffee Worx Beans and Blends. It’s free to download so why not take a look? Make sure to only buy enough beans or ground coffee to last a few days rather than weeks. Preferably grind as you go! Store coffee in an airtight container in a cool, dry place. It’s best to keep it out of the fridge or freezer. Never reuse grounds or reheat coffee!